COMMENTS: I ordered more of these in volume at another company and they were just not as good as this supplier. They fit my 1 oz lotion bars perfectly and are shipped with care. COMMENTS: Loving these tins for beard balm. Perfect size I am going to order more next time. These tins could be used for so many items. COMMENTS: Ordered sample and am ordering more! They're the perfect size for my lotion bars and fit well in any purse. Love them. "This packaging is great "
COMMENTS: I love this packaging for my beard balm care is hold the content very well. COMMENTS: Perfect size tin for my 1 oz motion bars. I use the mold with the honeycomb and bee on top and it fits in here really nice. I use a 2 inch round label on the lid. COMMENTS: Loved these tines for my balms, mustache wax and lotion bars! Great size! COMMENTS: These tins are a perfect size for my version of "calamine lotion" but in a creamy form with clay. Perfect for travel and my customers absolutely love the convenience of the product. The cap fits nice and tightly without having to manhandle it to get the lid off. "Great for my beard balm!" COMMENTS: Love these, they add class to my beard balms. The flat wide mouth is great for creating a lot of surface. "Perfect size Easy to open/close"
COMMENTS: I use these for my Paw Balm! They are the perfect size and fill easily! Durable! COMMENTS: We love these tins and use them for our beard balms, and ointments. "2 Oz. Silver Shallow Metal Tin"
COMMENTS: Just a perfect container to house my beeswax/Shea lotion bars. They fit perfectly both diameter and depth-wise and are kept fresh. "nice size and good quality"
COMMENTS: so far I have used these for mustache wax and they make a professional presentation. COMMENTS: I love these tins for my solid lotion bars. They are very convenient and a selling point for guys who want to tuck it in their jeans pocket. COMMENTS: These tins are very nice... the lids fit well. COMMENTS: I use these for my lotion bars and they hold the product well. They do not leak and are sturdy enough to with stand a purse. "Used for solid lotion bars"
COMMENTS: I like these a lot. They're a great size for pockets and purses and they stay closed. COMMENTS: I love these tins. I use them for my 1.5oz lotion bars. The quality is great. COMMENTS: Perfect for balms and hard lotions. 2 oz. size is just right. COMMENTS: These tins are the perfect size for our lotion bars. We have molds that we pour our oils in; After the lotion bars have set up we pop them in these. COMMENTS: I just ordered these for the herbal salve and lip balm. I feel the tins are a great value, right size for my products, and will be very eye appealing with my labels. COMMENTS: I used these for the first time with a lip scrub. The scrub contained a carrier oil and a flavor oil. After packaging them with a shrink wrap label and prepared to ship one, I noticed that the tin was lightly oily from the liquids leaking out of the tin. Not good for shipping anything with an oil in it, and I imagine products would melt in it as well if shipped during warmer days. COMMENTS: I have an upscale client that likes my lotion bars, and prefers them to come in silver packaging. These are perfect! The down side is I have found that they don't quite hold 2 oz by weight. COMMENTS: I used these to make beard balms and packaged 1 oz lotion bars in them. They were perfect for both products and make very nice sturdy packaging, will buy again. COMMENTS: I use these for my mustache wax and I love them! They are a great complement to the beard oil and look really nice and professional. It is also easy to add a label to these. I just wish they were a little cheaper. COMMENTS: This is exactly what I was looking for - a basic, well fitting metal tin for holding lip and body balms. The lid fits securely but doesn't snap/shake when you slide it on (important when the product is still liquid!). Will definitely reorder. COMMENTS: I use these tins for beard balm. They fit perfectly in the palm of your hand for easy opening and application. They are lightweight too, which is nice because it doesn't add to the weight of the product when I am shipping to customers. COMMENTS: Perfect size for solid body bar. I can fit in my back pocket if need be. COMMENTS: I used these tins for my lotion bars and they work great. Kinda on the plain side but that just means I can decorate and label them the way I want. Overall, they are great and I'm sure I'll be ordering more in the future. COMMENTS: Great for lotion bars. COMMENTS: These work great for my 1.4 ounce lotion bars. They look very professional and are easy to label with a 1-1/2 or 1-2/3 round label sticker. Perfect! "2 oz Silver Shallow Metal Tin"
COMMENTS: Perfect size for balms. Tins have a great, smooth and flat service to apply labels to. COMMENTS: The bases and lids always fit! Easy to open and close and I love the size. COMMENTS: I used these tins for several products including home made furniture polish and portable citronella candles to keep the Mosquitos away. They're very easy to transport and carry in your bags or your pockets. Also used these to make a hand salve in. Ideal size. Loved it! COMMENTS: I bought these to house lotion bars in the shape of sandals. Two fit in there perfectly and they are well made great product will definitely reorder! COMMENTS: Great item for lotion bars. COMMENTS: These containers are perfect for so many uses. Versital and sturdy. COMMENTS: I was so happy today when I received an email from WSP saying these tins were back in stock!! I make and sell salves at the Farmers Markets, and they love the 1 oz and 2 oz tins. They also are easy for customers with arthritis to open because they are not a screw on lid. COMMENTS: Great little tins for lotion bars. I used the Flowers Guest Soap Mold (MW 45) from WSP and fit perfect. Will purchase more. COMMENTS: Love these to keep solid lotion pucks. It's the perfect size for a one ounce puck of solid lotion. Gives you a great place to keep them tidy between uses. I will continue to get these. COMMENTS: I used these for packaging lotion bars. The ideal label size is 2.00". COMMENTS: These little tins are great for packaging my lotion bar wafers. They are easy to open and display the product nicely for gifts. COMMENTS: Great little tins, perfect size for lotion bars! It seems they will hold up nicely, not flimsy at all! Lid fits nicely, not too loose & not difficult to remove. "Perfect size for lotion bars. " COMMENTS: This is my go to container for lotion bars. The lids have a tight seal. COMMENTS: I will definitely be buying these again in the future. They came in a kit and made the presentation have a little extra something special. COMMENTS: Very easy to pull apart and put back together, unlike some others I've tried. COMMENTS: I put my best and most expensive facial soaps and lotion bars in them. The packaging is great just add your label on top and your ingredients at the bottom of the tin and you have a great packaging for your products. COMMENTS: These worked great for handmade salves. COMMENTS: I liked these 2 oz silver shallow metal tin assemble set because they give a professional look to soild lotions. These tins are unisex and so far I have used them to hold beard balm. I also like the fact that I don't have to worry about the hot beard balm melting its container. "Perfect size for my lotion bars"
COMMENTS: This tin was the perfect size and my products look very professional. COMMENTS: These little tins are perfect! 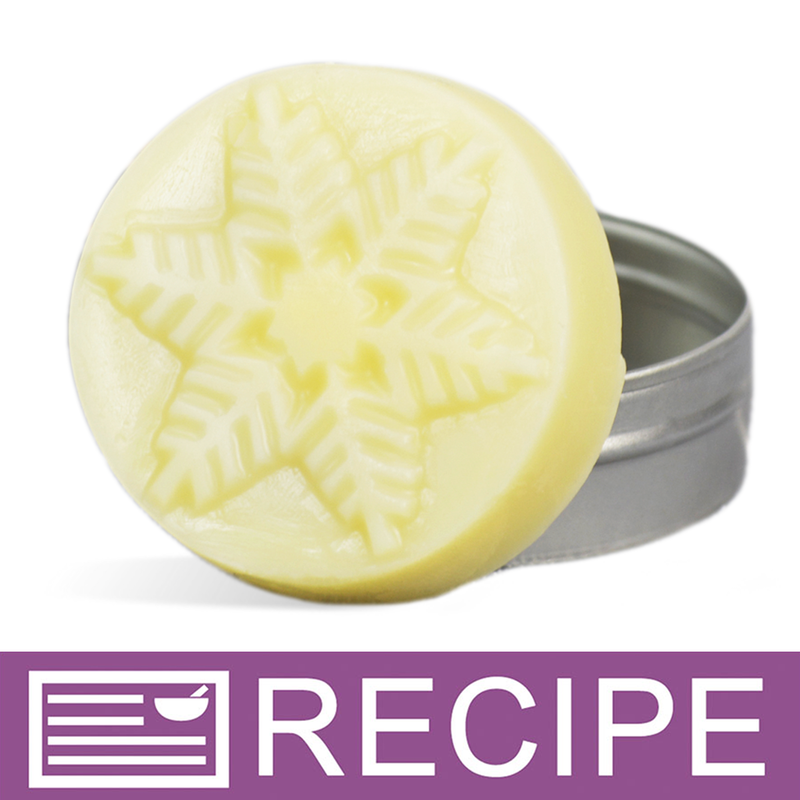 Along with the guest soap mold these are the perfect combo for my lotion bars! I just love them! And definitely buy the shrink wrap bands that go with them! One stop shopping makes it super easy! Thank you WSP!!! COMMENTS: Consistently a good product. "Classy tin for your balms!" COMMENTS: Happy to provide my product in these tins as they feel a lot more professional. They seal GREAT! COMMENTS: Great tin for lotion bars. COMMENTS: I really like these tins and love how they look with my labels on the top. I use the Fancy Bee mold and it fits just right. I sold out of all my lotion bars and the professional looking tins definately is attractive to customers. • sometimes the lids can come off easily. COMMENTS: Allows a good sized lotion bar to be held especially for favors. COMMENTS: Absolutely perfect size for my 1.3 oz. 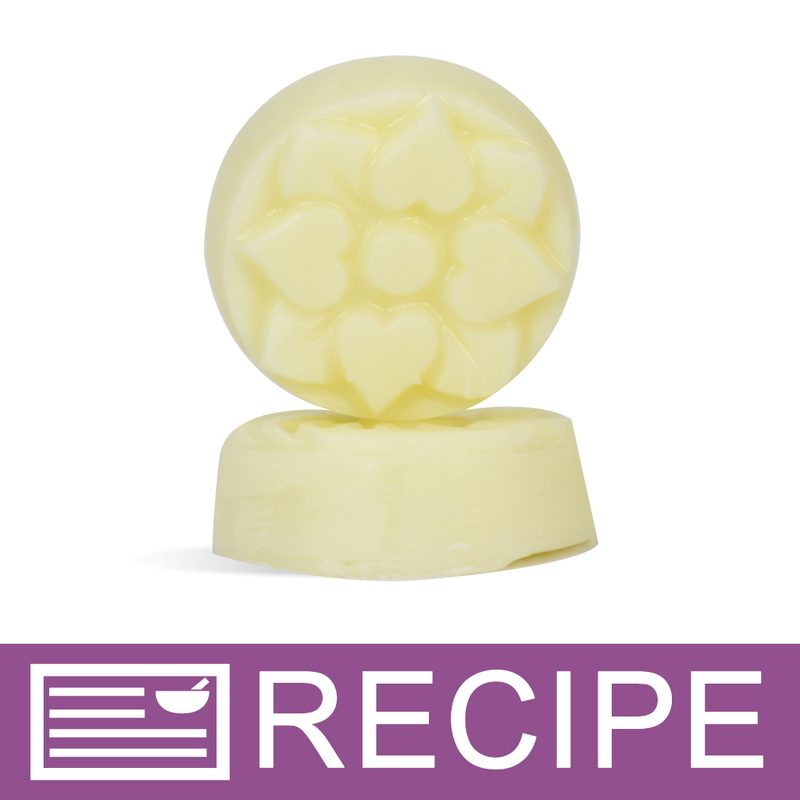 lotion bars! Love these tins! COMMENTS: These tins do not fail to impress. "Super cute!" - from one of my customers, is all I needed to hear. Will purchase a LOT more for my lotion bars. COMMENTS: I love the quality and the lid fits tightly. I use these for my smaller lotion bars. I wish the price was lower. COMMENTS: I love this tins for lotion bars. They are a good size, not too big not too small. 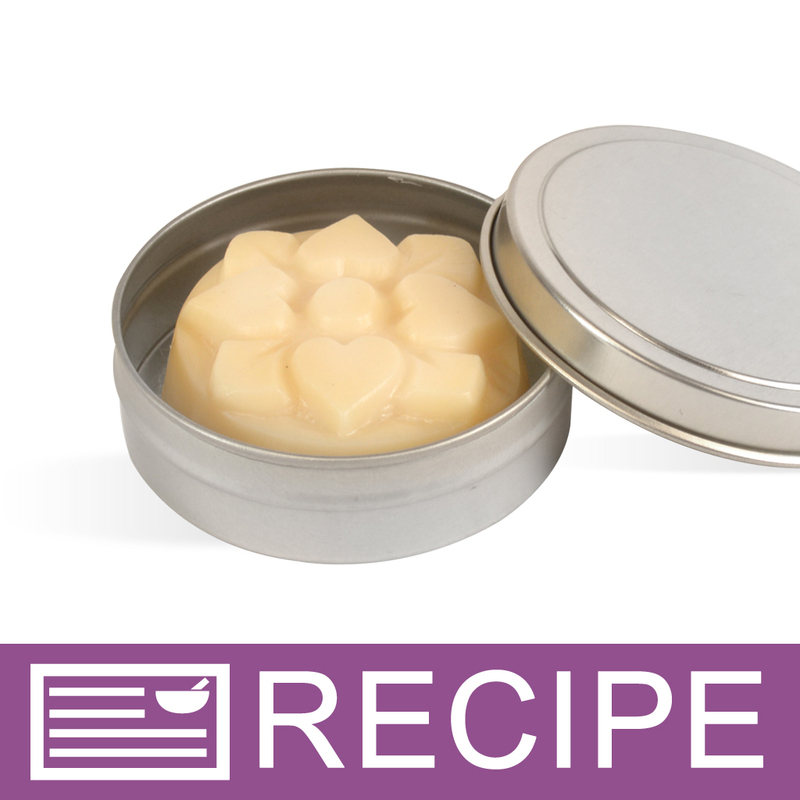 You can use the round flower mold and the lotion bars will fit in these tins. COMMENTS: These are very nice to use with lotion bars. Can pour directly in tin or use a mold first. "Perfect For Lotion Bars And Salves"
COMMENTS: I love these tins not only because of the visual appeal, but because they are perfect for lotion bars or as a shallow dish for salves and creams. COMMENTS: Great tin and just the right size! COMMENTS: Perfectly sized for so many uses! I've used these tins for pet paw balms, salves & various other lotion bar type products! A must have. Great presentation! Nice heavy type of a tin. Great product for the price! COMMENTS: These metal tins are great for 1 oz. hard lotion bars. I use small coffee filters to pad the lotion bars inside the tins. COMMENTS: I love metal tins. They make your products look awesome. This particular tins are great for lotion bars and solid butters. Very high quality. "easy to use and beautiful packaging"
COMMENTS: The tins are easy to fill with the homemade salves and balms we make. They look attractive packaged in the tins and are a customer favorite. COMMENTS: I've been wanting to purchase some of these tins for awhile. They work perfectly for small sizes of facial masks and the various salves I make. Great product! COMMENTS: Very nice container and served the purpose perfectly. COMMENTS: This is perfect for my lotion bars! They are professional and sleek! Highly recommended! COMMENTS: I will be purchasing more of these. They are the perfect size for my balm recipes and they are easy to open and perfect to carry in gym bag or purse. COMMENTS: Very nice tins, perfect for the lotion bars. COMMENTS: I have been using this 2 ounce metal tin for my salves, body butters, and balms for years now. These are perfect tins, in my opinion, because they feel very solid(not flimsy metal)and hold together well. They can be used for a variety of purposes, and once the product you've put in it is used up, they can be washed out and re-used again for something else. Another great product from WSP! "Not sure if I'll reorder"
COMMENTS: I've been using these for my lotion bars. I have to be super careful because if I overfill my lotion bar molds, the top pops off very easily. I've noticed these dent easily, as well. WSP Response: If you notice that the tops become loose, you can easily fix this by holding the lid in your palm and applying very light pressure to the edges. This will help to tighten the lid on the container. COMMENTS: These tins are the perfect size for my lotion bars. I either use a round mold or pour directly into the tin. They hold up well and make an attractive display. COMMENTS: These tins are perfect for my lotion bars. The lids fit well and have stayed on, even rattling around in my handbag. Excellent quality and I will purchase again! COMMENTS: Very cute and professional. I add labels and make fragranced lotion bars that I sell for $5 each. They are a big hit with my customers! COMMENTS: This is the perfect size for my lotion bars. I love this and will be ordering more. 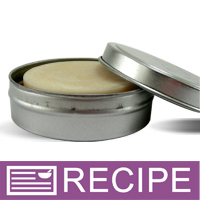 COMMENTS: I make solid lotion bars and store them in these tins, they work great! COMMENTS: I use these for lots of things...deodorants, the mustache wax, face masks and more. Just a great container. Thank you. COMMENTS: They are perfect for the lotion bars and I should have ordered more! I didn't know how they would work but they are great and I enjoy making the lotion bars, so I will be ordering more of these. The container is a good quality too, very professional. COMMENTS: These little tins are great for lotion bars and cuticle creams. COMMENTS: I use these for my lotion bars and my customers love them. They look very professional with round labels. COMMENTS: Four stars: Love these tins. The lid is tight-fitting and they don't scratch easily. I would love to see a tin that doesn't rust. WSP Response: Tins should not rust as long as they do not contain a water-based product. COMMENTS: These tins are a great holder for my lotion bars. They open and close easily, look super professional and hold a perfect size! COMMENTS: Just the perfect tin for lotion bars or salves.love these, in fact, I need to order more! COMMENTS: Absolutely adore this size tin for my Hard Lotion bars. I purchased the guest size round silicone mold, and my other ingredients to make the hard lotion, and than package these beauties in these tins. They are a great size for the purse, great size for customers to "try", and also meet the guidelines for airtravel! • Offer them in different colors. COMMENTS: AWESOME tins! for lotion bars and they make them look high end. COMMENTS: I had looked and looked, and finally found these. These were the perfect size for my solid lotion bars that I first mold and then pop out and stick in a tin. These tin give them just the right look. And at the price you can't beat them. Thank you WSP for another wonderful product! COMMENTS: Love these for lotion bars! "Tins are perfect size and shape!" COMMENTS: I use this product to hold my healing hand balm. I am a nurse and many of my co-workers use this product several times daily because we are constantly washing our hands. This tin holds in the scent with no leakage...and it fits perfectly in scrub pockets or lab coats! I love this product! • Perfect size and shape. • No leakage of oil containing product. COMMENTS: Professional looking package for my salves, costumers love them! COMMENTS: We sell a lot of lotion bars, and they all go into these tins. The are also perfect, no dents, the open and close easily and they have a quality, heavy feel to them. Good product. COMMENTS: I love these tins. They are great for my tiger balm and the lids fit snug but I have no problem opening or closing them. Also the 2" round labels fit great on them! COMMENTS: I used these for a body balm. They were the perfect size and look great! COMMENTS: These are great tins for small lotion bars. They are small enough to fit in pockets, and my guest size lotion bars fit in them perfectly. I will definitely buy more of these. COMMENTS: Great size for small travel soaps. Wish they came in a bigger size. "Great tins for lotion bars"
COMMENTS: These tins give lotion bars a great appearance. Customers love them! "Good thing come in small packages"
COMMENTS: Great tin for many uses. Nice matte finish. Opens easy. Make sure shampoo and conditioner bars are fully cured before packaging, it will rust. COMMENTS: Love them! These fit my Lotion bar's, and I love them. Remember they are not rust resistant so store them in an area that will not get water. My clients love them, they are perfect for travel and I will be ordering again. COMMENTS: I have used these for my lotion bars for years. I mold my bars in chocolate covered oreo molds and they fit perfectly in these tins. Very cute and easy to carry around. I sell a lot of these. "The Only Tin I Will Use!" COMMENTS: I use these tins for my solid lotion bars. They are the best. The lids always fit nicely and I love the raised part on the lid. Makes it easy to place labels. COMMENTS: I use this tin for body butters and have been pleased with the results. Not too big, not too small. Great for travel or to carry in a purse for on-the-go skincare. Definitely will purchase again. COMMENTS: These are perfect for my whipped body butters. Slim line, classy, and the lid is tight enough that I can toss them into my purse or product bag without worrying that they are going to fall open. COMMENTS: I love these for my herbal healing balms. They stay together well. Be aware that ANY dampness will cause rusting though. COMMENTS: My tins arrived in perfect condition, no dents or dings, and I just love them! Easy to open, yet secure when the lid is on. 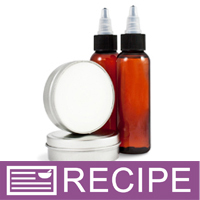 "Would a bear balm formula work in this type of tin." Staff Answer As long as your product does not contain water, it should be fine in this tin. "What size mild fits this tin? I’m interested in using for lotion bars. Thankyou"
Staff Answer We have a few molds listed under the recipes using this tin. http://www.wholesalesuppliesplus.com/products/2-oz-silver-shallow-metal-tin-assembled-set.aspx?Mode=VIDEOS. Otherwise, any guest size round mold should fit. You may need to not fully fill the mold so it will fit into the tin with the lid on. "These look like they would be a nice container for my lotions. What are they priced?" Staff Answer The prices are listed on the right-hand side of the product photo. This product comes in a set which includes one base and one lid. "Will your press and seal liners work on these? If so what size. You are currently out of the shrink wrap bands so was looking for another solution. Thanks. " Staff Answer If you used a press and seal you would have to use the 70 mm and then cut it down to size. We have not used a press on seal on this container. It may not stick to the tin as the lip on it is very thin. For this particular container the shrink wrap band is your best bet. They should be back in stock in about a week. "How can I sterilize this tin case?" Staff Answer The best way to sterilize this tin would be to spritz it with isopropyl alcohol and then wipe it down with a paper towel. "Are these screw on lids?" Staff Answer Hi Swass - No, these are slide on lids. "Will these hold "mushy body butter" without damaging the tin or product?" Staff Answer Body butters that include any amount of water will grow bacteria in a tin like these. I would recommend using a plastic jar for all body butters to avoid this issue. As long as their is no water in your formulation, and it is simply softer oils it should be okay. Keep in mind softer oils can melt and may get messy if left in a purse or hot car. "I am looking for a tin for a shaving bar but we know people are going to introduce a wet brush in it. so I guess this is a no no... what can I use instead? I was brought here because the mold mentioned in the shaving bar recipe had a description that said those would fit here..."
If you look in the section Low profile plastic jars after clicking the Jars & Tins button, there is a 2 oz White low profile plastic jar that would work perfectly. If your Shaving bar is a little tall, you can also get their White dome lid for added space. Water would cause rust issue, but if you are looking for something to hold shaving soaps the 2oz black plastic jars look very manly. They can also serve as the mold if you pour the soap directly in and allow to harden. 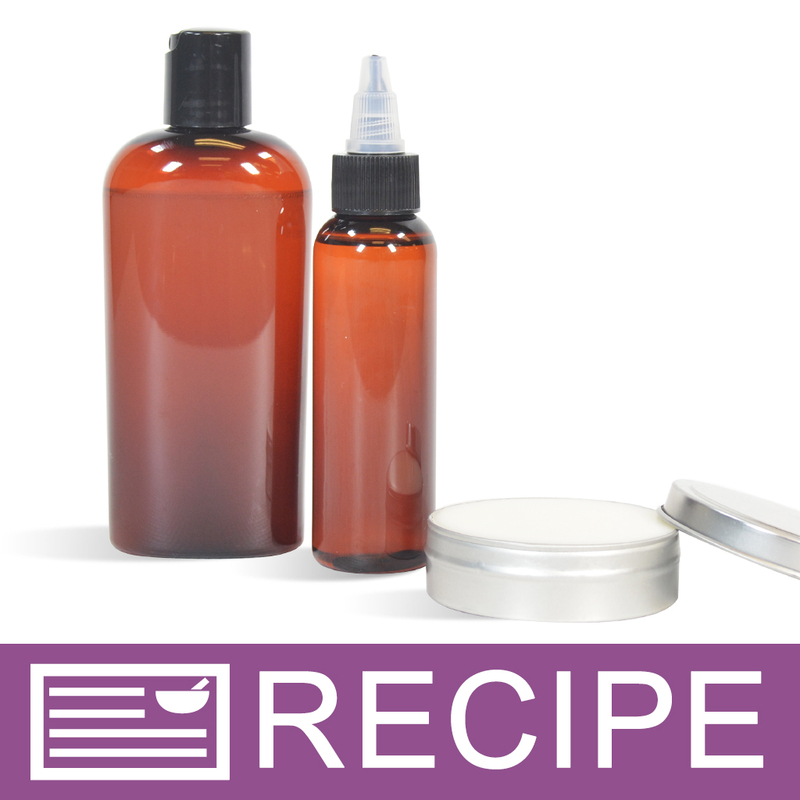 "If you pour your lotion bar directly into the tin, will it pop out with the rolled top edge? I need the bar to pop out of the container." It wouldn't be ideal you might be able to get a few to pop out but metal isn't known for it releasing capability. I would use a mold or a cookie cutter slightly smaller. This will also depend on how hard your bar is. I use about one part of bees wax in a sold lotion bar and I have to freeze it in order to get it out of plastic molds. No, it will be like a solid lip balm. It won't come out unless melted. "What Round Label size would work best to cover the top of this tin? and what company would you recommend using? I have used Vista Print and they offer a 1.5 inch circle. Should I seek a Larger Label? " Staff Answer Good question! The inside circle of the tin is 2" in diameter. From end to end, the diameter is 2 3/8”. As we do not sell labels, our customers have told us that they have used www.onlinelabels.com or Vista Print. We do suggest that prior to purchasing labels that you purchase the product first. This way you can judge exactly how you would like your label to look on your product. I use 2" labels, and they fit perfectly. "Which, if any, of your small round soap molds will make a bar that will fit in these tins? I like a bar and set it in the tin instead of packing it into the tin directly. Thank you!" 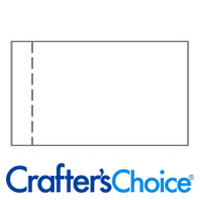 Staff Answer The Crafters Choice™ Round Guest Silicone Mold 1607 will fit well inside this tin. There are also many more detailed round plastic molds that also can fit into this tin. Any mold that is smaller than 2 3/8” across and less than 3/4" tall. I have found a couple "guest mold" sizes that work. "Can I use these to package my cold process soaps?" These are cute for CP soap, just so long as people don't get the idea to use them and store them back in the tin, as they're not made for use with water. "Do the 2 oz. metal tins contain aluminum?" Staff Answer The 2 oz Silver Shallow Metal Tins are composed of Tin Plated Steel. "I just wanted to know how man tin/lids come in a set? Is one set a lid and the tin itself? Thank you very much! " Staff Answer Yes, one set includes a lid and the tin itself.